The England & Wales Cricket Board are delighted to be partnering with the International Cricket Council on the ICC Cricket World Cup 2019. A celebration of the World’s 10 greatest cricket teams, who will be playing 48 matches across 10 venues in England and Wales from May to July 2019, culminating with the final at Lord’s. The ambition of the ICC Cricket World Cup is to inspire 1 million kids to pick up a bat and ball in 2019. The ECB’s contribution to the 1m target will be to host a unique and exciting Kwik Cricket tournament in association with ICC Cricket World Cup Schools, with over 200,000 year 4 to 6 girls and boys taking part. The event will start in April 2019 and run through until July, with a combination of District and County finals across all 39 Counties in England & Wales. 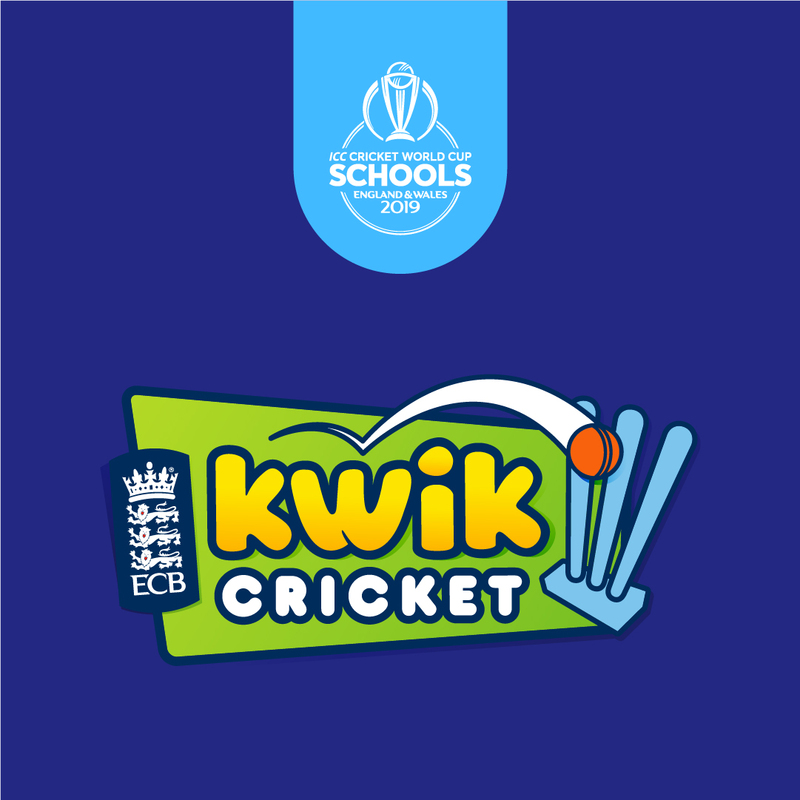 This is your school’s opportunity to be part of this once-in-a-lifetime opportunity for your children and by entering your school into the Kwik Cricket tournament in 2019 you will be eligible for exclusive Cricket World Cup money can’t buy offers. Kwik Cricket is a fully inclusive game where the emphasis is on participation and enjoyment. It is specifically tailored for children up to the age of 11. Each Kwik Cricket team has eight players (both girls and boys) and bats for eight overs. Games are played with a plastic bat and ball. Download the Kwik Cricket rules (PDF) for further details on how Kwik Cricket matches and competitions are structured and run. You can also use our downloadable scorecard (PDF) to keep track of your Kwik Cricket match. Gray-Nicolls is the official manufacturer and distributor of ECB Kwik Cricket equipment. If you are a teacher, work in education or want to coach in education, we have a number of great courses to help you coach cricket in your school. These courses will not only give you the knowledge to teach cricket but will support you to bring high-quality PE into your curriculum. For further Information about Kwik Cricket, please contact competitions@devoncricket.co.uk.